1st) You have the option of becoming a member upon your first rental with Mr. Bounce House Rentals. You can Activate your exclusive membership benefits with us by filling out the form on the cont﻿act page. Then by email you will receive a conffirmation # and your membership Id SAVING$ Card Via USPS. Mail or at your spcial event. You will receive 8 "$25 Savings Cards" with your Membership ID # on them. 2nd) Simply pass these out to your party guests either in your kids goodie bags, and to your friends and family either by hand, facebook, myspace etc... whatever way you wish. towards YOUR FREE RENTALS. Or use the credit as a discount off your next rental purchase . 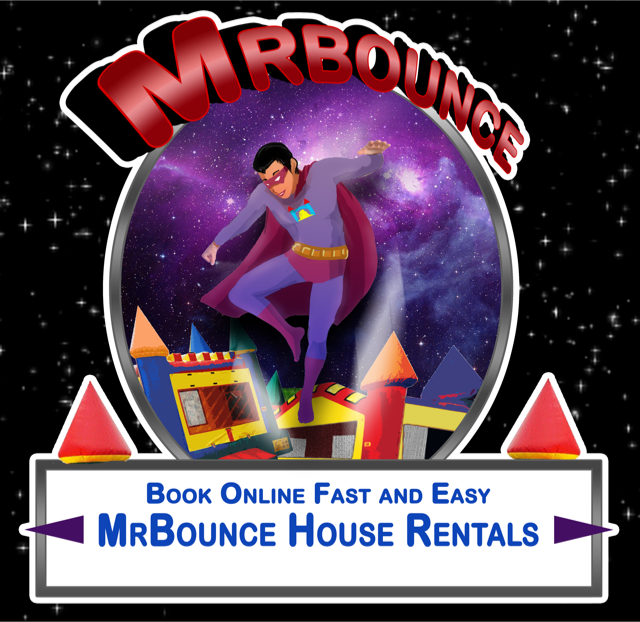 gives YOU another $25 off towards your NEXT bounce house rental. One customer spread the word on her face book account & earned $600 worth of free bouncer rentals from 1 POSTING!!! Amazing!!!.. * The following rules & regulations are in addition to our rental agreement . earned & you will be notified by email 30 days prior to its ending date. * Each $25 credit earned through this program is earned in what we call "Party Dollars"
food rental machines or supplies for machines or anything else other than Inflatable Rentals. (incase they cancel) you will receive a referral credit in the amount of $25 payable in"Party Dollars"
* PARTY DOLLARS must be told to Mr . Bounce House Rentals at time of booking if you wish to use these. be used towards any bouncer balance or future order. * This offer can not be combined with any other offer or previous sale. * DELIVERY FEES DO APPLY FOR ACCUMALATED FREE RENTALS !!!!!!! Our members also enjoy the pleasure of extra savings on all our party rentals. Members receive a FREE RENTAL every 4th rental, and every 4th rental thereafter is FREE Depending on availability at time of your event. Also, our members get an additional $10 off weekday rentals, **Excluding Holidays, and cannot be combined with any 4th rental or coupon. Copyright 2013 Mr Bounce House Rentals. All rights reserved.